We at the Center for Music Therapy desire to provide the best care for our clients. That’s why we offer free screenings to assess your needs and begin moving towards reaching you and/or your loved ones goals! 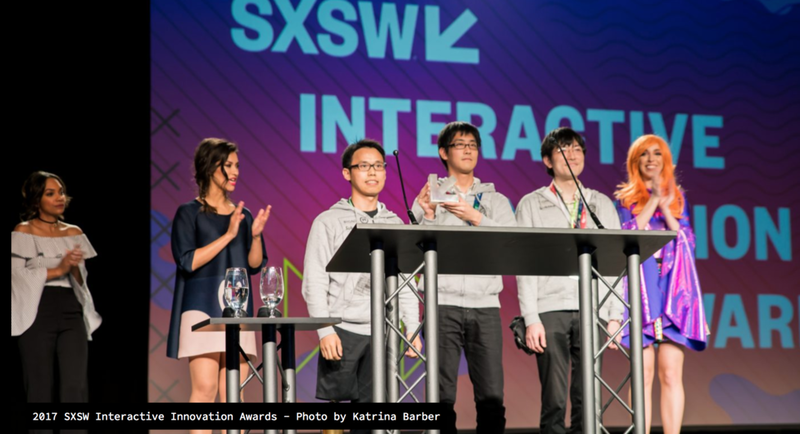 Feb 15 Movement Tracks Project Selected as a Finalist in SXSW Interactive Innovation Awards! We are thrilled to announce that the Movement Tracks Project is a finalist in the 2018 SXSW Interactive Innovation Awards!!! We can't wait to share with the world what we're working on and feel so blessed to have received this honor! If you're in town for #SXSW, please come to our showcase on Sunday, March 11. Wish us luck!!! THANK YOU to our partners Biodex-Physical Medicine & Rehabilitation, Merging Technologies, Neve Designs, Austin City UP, and Center for Music Therapy!!! Shoutout to our team and everyone who has helped us get here: Hope Young, Emily Morris, Cassie Shankman, Kristen Prejean Barta, Stephen Bartlett, Andrew James Gonzales, Ray Benson, Tara Jamieson, Eddie Konopasek, Jessica Fagre, Sean Bailey, Kenton M Bass, Mike Broadway, David Chao, Malcolm H Harper, Michael Mordecai, Niamh Fahy, Jacque Brown, Sabrina Grounds, Heather Wagner Reed, Tyler Merriman, Theresa Jenkins, Christee Nicole Albino, Steve Mazur, Carols Alvarez, Tim Palmer, Charlie Thompson, Paul O'Brien, Rupert Neve, John Zozzaro, Blayre Pena, Tre Nagella, Lydia Villarreal, Diana Burgess, Clara Brill, Alejandro Duque, Christina Steele, Nico Fiorente, Jillian Kouzel, Cory Fica, and Adam Drake! Like what you see or have a question? Email us at admin@centerformusictherapy.com. Jan 11 What is the Movement Tracks Project? Sep 19 Movement Tracks Project Phase 2 Completed! Your first screening is free.